Lying in the rugged, semi-arid valleys of Karamoja province on the far northern border with the Sudan, Kidepo Valley is Uganda’s most remote national park. Few undertake the pilgrimage to the park but the spectacular beauty of this pristine wilderness impresses all that make it. For the visiting birder, Kidepo Valley National Park boasts a bird list of over 475 species, a total second only to Queen Elizabeth National Park. Amongst the host of dry, eastern “specials” not found in any other Ugandan national park are some of East Africa’s rarest and most sought after birds such as Black-breasted Barbet and Karamoja Apallis. The park can be reached by both road and air. Interested in visiting Mount Elgon National Park? The Kidepo Valley National Park is among Uganda’s most magnificent parks along the border of Uganda with Southern Sudan in the northeast. It covers 1,442 sq kilometers and offers scenery unparalleled in any other national park within East Africa.A common comment made by the visitors in regards to its scenery is that “It couldn’t be any better!”, and oftentimes the visitors promise and actually return to Kidepo. Hidden in the corner of the border of Uganda with Kenya and South Sudan, this park offers spectacular Savannah landscapes that end in rocky horizon. Kidepo Valley National Park hosts a great variety of animal species in comparison to any other Ugandan parks. Of the Eighty species recorded in 1971, Twenty eight weren’t known to exist in any other park within Uganda. Carnivore species distinctive to Kidepo are: the Hunting dog, Bat-eared Fox, Cheetah, Striped Hyena, Caracal and the aard Wolf. The more uncommon ungulates are: the greater & Lesser Kudu, roan antelope, Chandler’s mountain Reedbuck, beisa oryx, Klipspringer and Bright’s Gazelle, have been greatly decreased by poachers within the past few years. Among the other big ungulates are: elephants, oribi, burchell’s zebras, Jackson’s hartebeests, bush pigs, bohor reed buck, warthogs, rothschild giraffes, defassa water bucks, cape buffaloes, elands, bush duskiers and bush bucks . Five primate species are found within the park of which the most endemic is the Kavirondo bush baby. Carnivores existing include Uganda safari lions, side-striped jackals, leopards, black-backed jackals, various small cats as well as spotted hyenas. The simplest to see is the jackals. The park features a comprehensive avifauna with 465 various species recorded. The Ostrich as well as the Kori Bustard are as well found there.The park is renowned for its exceptional variety of birds of prey. Out of the Fifty eight recorded Fourteen are thought to be specifically endemic to the Kidepo as well as the Karamoja region. Included in these are: the pygmy Falcon, Varreaux’s Eagle plus the Egyptian Vulture. Also of be aware are Four Hornbills species: the Jackson’s, Yellow-billed plus the Red-billed are distinct to Kidepo as the Giant Abbyssinian ground Hornbill is very common. However, there is no significant survey within Kidepo and Enthusiastic visitors have a better opportunity to add more to the existing list. The Apoka Rest Camp and Park Headquarters overlooking the swallow, southern Narus Valley is a great spot to begin your Kidepo birding. The attractive Silverbird and small bands of Yellow-billed Shrike frequent the thorn trees around camp, as do a number of other widespread species such as Vinaceous Dove, Hoopoe, Nubian Woodpecker, Mosque Swallow, Ruppell’s and Superb Starlings, Scarlet-chested Sunbird, Little Weaver and Red-cheeked Cordon-bleu. A small permanent water hole at the edge of camp attracts swallows and a variety of seedeaters including Yellow-rumped Seedeater and is visited at night by Four-banded Sandgrouse, Elephant, Buffalo and occasionally Lion. Clapperton’s Francolin, Black Coucal, African Moustached and Broad-tailed Warblers, Marsh Tchagra and Crimson-rumped Waxbill may be seen in the rank grass along the normally dry stream bed adjacent to camp or along the track to Apoka lodge. Looking over the game filled Narus Valley and habitat to a luxury lodge and the standard UWA managed cottages; the Apoka is the tourism centre of the park. Ranger guides are positioned at Apoka to accompany tourists on their game drives plus nature walks. For people not having their private transport, there are park trucks offered for hired. In addition, there is a craft shop having books plus souvenirs, alcoholic beverages, bottled-water plus sodas which can as well be bought here. Food is prepared on request and also cooking gas as well as utensils may be hired by people who desire to cook on their own. Narus Valley is a rising and falling grassland plain surrounded by faraway mountains. This valley provides permanent water, and through most of the year its wildlife gathers here. Therefore, this area is properly supplied with game tracks, having 4 loop circuits that explore the valley close to Apoka. Several creatures for example lions, reedbucks, Jackson’s hartebeests, oribis, buffaloes and giraffes are visible within the valley. Cheetahs plus leopards are as well seen but in smaller numbers. The Narus dam together with the water hole close to the Tourism Centre are ideal observation places for game, particularly throughout the dry season. At the far southern tip of the Katurum loop, there is the Katurum kopje (a site of an abandoned lodge) is an eye-catching destination with outstanding views north over the valley in the direction of the Morungule mountain range. Through most of the year, shortage of surface water implies that less wildlife is seen within Kidepo Valley, although it is still definitely worth the drive to go to the dried out Kidepo River to walk along its 50 meter wide river bed comprised of white sand in between the banks blanketed with borassus palms. “Kidepo” means “to pick from below” and this valley was frequented by people traveling to collect fallen borassus fruits to use for fermenting when making palm beer. Kanangorok Hot Springs are located 11 kilometers past the Kidepo River along the Sudan border. It is a marvelous place to sit down and observe the mountains far past the frontier. Mount Morungole towers to 2,750 meters and it is crossed by River Kidepo and River Narus which nourish the wildlife plus the natural habitat of this park. 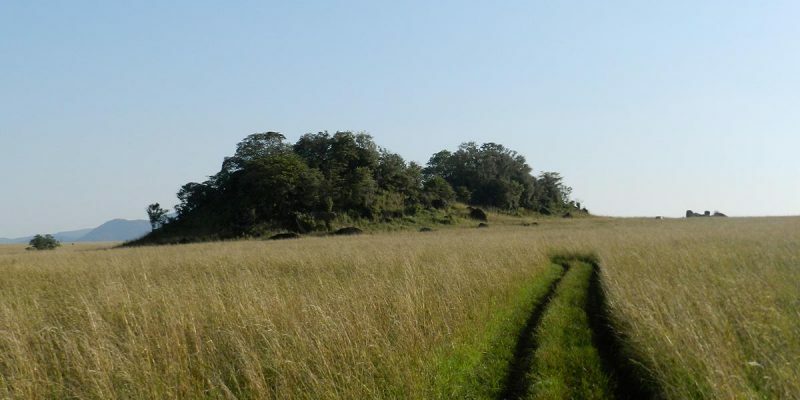 The Morungole Range defines the southern boundary of this park and soars from these plains a couple of kilometers north-east of Apoka. This area may be visited on foot in the company of a ranger. The slopes of the mountain are habitat to the IK people, who are the tiniest ethnic group found in Uganda, and have their own special culture. “Namamukweny” is a native Napore word for “a place having no birds or perhaps a lonely place with very few people” – although concerning the birds, pretty the contrary is true! This valley is populated by a huge amount of bird species for example the Eastern Paradise Whydah, Green Wood Hoopoe, White-crested Turaco, Abyssinian Roller and the Common Bulbul, among others. It’s found in the northwest part of the park and may be accessed on foot or using a car. The Lomej Hills are found just a brief drive from the park headquarters. These hills are a great viewing point to see wild animals and birds such as the mountain reedbucks.